Suggested Donation: $5, snacks & refreshments are always appreciated. Vicki Lawrence’s presentation “Using the Energy Around You to Awaken Your Intuitive Self” begins with a short introduction, followed by personal experiences of what she knows about energy, seeing it, working with it, etc. She’ll include pendulum work, Reiki, & other “psychic” things. Vicki’s workshops often times interact with spirits and souls that show up. Audience involvement will help allow each person to see their life’s gifts. Vicki currently practices as a Spiritual Psychic consultant. She practices energy healing and readings. In her practice she intuitively uses the energy source and approaches each session on an individual basis. No person is the same and each will bring with them what they desire to learn and heal. She has learned to help others to connect back to their heart, the real source from which our thoughts should come. Vicki is not constrained to working in an office where you come to her, all she needs is a phone line and she is instantly connected with you, anywhere in the world. Not only is she congenial and humorous but also she can immediately lay out the issues that are holding you back. Vicki is listening and intuiting your body and your healing path from the moment you start speaking with her. Vicki’s job is to help bring you into the here and now. To help you find peace and presence in whatever might be unfolding before you. This is an interactive intuitive process of helping you engage your soul journey. Through the reading you move deeper into the space of healing, connecting with your spiritual truth and connecting to your inner knowing to find balance and harmony on the Physical, Mental and Emotional level. 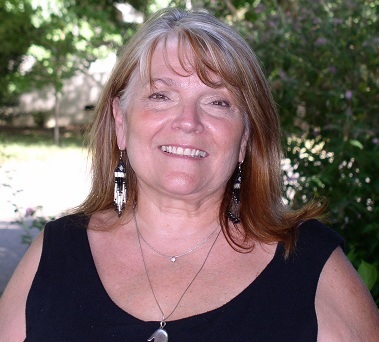 Vicki has 13 years experience as a Reiki Master/Teacher, 10 years as a Theta Practitioner and 10 years in dowsing. Other modalities include Light Therapy, Color Therapy, Sound Therapy, Accu-Point, Reconnective Healing, Quantum Touch, crystal layouts, essential oils and many more. Vicki has taught Reiki at Shasta College Community Education and at various sites throughout the west coast. She has been involved in many of the local Holistic/Psychic fairs and has been a regular part of a Reiki Share Circle for over 11 years. She has conducted seminars on intuitive healing, use of crystals & essential oils in everyday life and has also taught numerous classes on stress management. She often feels that the best part about having the gifts that she does is that she can use them to help others and teach others. The gifts that are inside Vicki are also inside you, just waiting to be awakened! Vicki uses the pendulum and L rods to find and clear energy at your home or business. The noxious veins and geomagnetics of the earth can sometimes be quite disruptive and dowsing is a simple way to work with and clear any disruptions. Vicki also works with animals to help clear all the baggage that they carry for us. Their humans receive the gift of a clearing while learning about the pet’s own path. If you want to contact Vicki, call 530-227-6605 or reiki1vicki@gmail.com. Sessions are by appointment only. Have you ever thought that you can teach someone else how to avail spiritual abilities? Although i’ve read some articles on the web in enhancing these abilities, can you show me more? I’m burning to receive your reply. Thanks for reading my comment!